HDC appreciates all the passion, hard work, and dedication our members devote to the affordable housing movement. No single organization could make this impact and secure this progress alone. The collaboration and connection among members is the human energy that works to ensure all people have a safe, healthy, and affordable home. We want to show our appreciation and learn more about our affordable housing community through these member highlights as each member is crucial to achieving the larger vision of this movement. 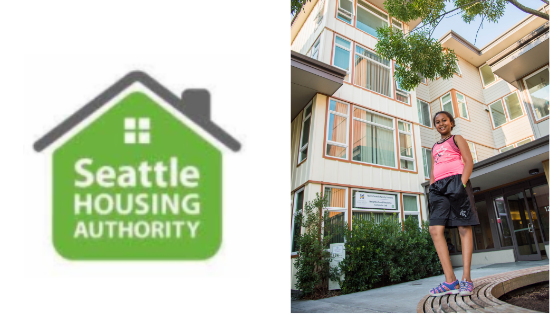 This week our featured member is Seattle Housing Authority. Thank you for all the work that you do! What excites your team about the work you are doing? Staff at the Seattle Housing Authority are the most energized around bringing our mission, values and strategic priorities to life in real ways that help real people. Staff who work with our 34,000-plus residents and Housing Choice Voucher participants every day see firsthand what it means to people to have safe, quality, affordable housing. Seeing what having a stable home does for someone – and services such as access to proper health care, job training, academic support for a child – is inspiring. We are working to do a better job of sharing the stories of our tenants with our staff, board, partners, stakeholders and members of the community who don’t have the opportunity to meet our clients in the course of their daily work. Hearing people we serve describe in their own words the difference our housing and programs make in their lives is what makes the work exciting. What is a favorite office anecdote? This past year we consolidated a number of employment related services into one comprehensive program called JobLink. Career Coaches work individually with tenants to help them find a job right away, enroll in training and education and then find a job; get a better job; or start a small business. As part of promoting the new program, the JobLink team created magnets. The magnets began to appear in the apartments of tenants who might benefit from the JobLink program. They showed up on refrigerators, oven doors and other places. What caring person put them there? How? Turned out to be maintenance staff, who have a unique opportunity to spend time with and get to know residents and their needs while they are in the home to work on a leaky pipe or broken light fixture. The magnets are now a regular tool in the kit, right there with the wrenches and screwdrivers. And some grateful residents have turned up in a JobLink Orientation. What upcoming projects, partnerships, and news are you looking forward to? In early 2019, SHA will open our fourth new residential building to be constructed as part of the redevelopment of Yesler Terrace near downtown Seattle. The opening of Red Cedar will put us past the halfway mark in the transformation of Yesler from 561 units of aging housing to a vibrant model, mixed-income community with up to 5,000 homes, attractive open spaces, increased community space, improved transportation and enhanced economic opportunity. We are also excited to be able to expand our inventory through an Acquisition Plan recently approved by our board, which will ensure that 500 units in Seattle will either remain affordable or become affordable to low-income households. We have a nationally recognized partnership with Seattle Public Schools, to improve educational achievement of SHA students. We are working in partnership with the University of Washington to build more than 150 units of affordable housing on UW-owned land near the campus, and are investing in a “buy-up” program to add badly needed apartments sized for larger families to new construction by other housing provider partners. We will complete the promise of rebuilding NewHolly through a partnership with HomeSight at Othello that will bring healthcare resources, education and affordable housing to the community. We are advancing a Digital Communications and Digital Equity Initiative to provide news and information to our tenants in a more convenient and timely way, make it easy for them to translate information and link them to a host of community resources and services. We are also expanding our Race and Social Justice Initiative to include more opportunities to learn, and to ensure our own practices are equitable, inclusive and contribute to breaking down institutional racism. What have you been most proud of during your time as an HDC member? All of us at SHA are proud to serve our community. We are proud of the quality of our housing and of our commitment to continually improve our programs and services. We have a great staff of skilled, dedicated people and we have strong partners, who make it possible to help people beyond the basic need for housing. These partners are a critical part of the SHA network. We are most proud, however, of our tenants. They prove day in and day out the resilience of people living on low incomes. Abdikani, and his mother who worked two jobs so he could graduate from the University of Washington. Jill, who studied hard to get her nursing degree so she could provide a better life for her daughter and give back by working in community health. Marvin who pulled himself out of more than a decade of substance abuse and homelessness and now volunteers helping others find a new path. Ruben, a lifelong professional musician on a quest to perform for fellow residents in all 23 Seattle Senior Housing Program locations. We are proud, and at the same time humbled, to serve them.